Finally, it's here......a day that actually resembles the joyous Spring weather. For the next two days, we are in open toe heaven and what better way to celebrate than to highlight a super cute and delicately feminine Melissa Shoes Solar IV Sandals. 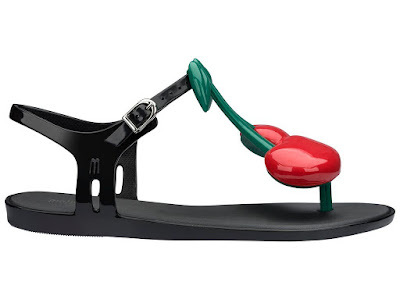 The Melissa Solar IV puts it’s best foot forward with an oversized cherry detail, and delicate feminine personality. 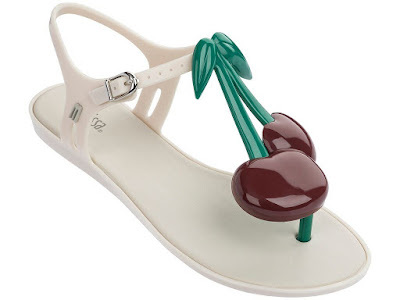 As always true with Melissa styles this shoe is vegan, recyclable PVC and ethically made. 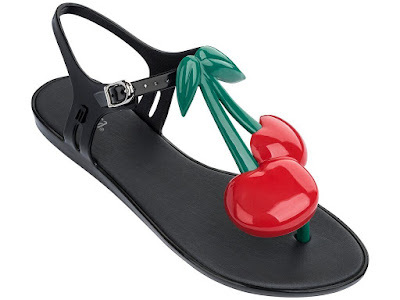 Available in Black and White, these delightful sandals retail for $85.00 on www.shopmelissa.com.